I can’t tell you how much I ADORE these Valentine’s Day Cookie Pops. While the technique looks complicated, the design on the front of the cookie is actually from a stamp — so clever!! I heart all things Paris, so these treats are really perfect for me. I’d imagine that the stick really isn’t needed if you just wanted to make cookies instead of pops. It’s a cute look either way! 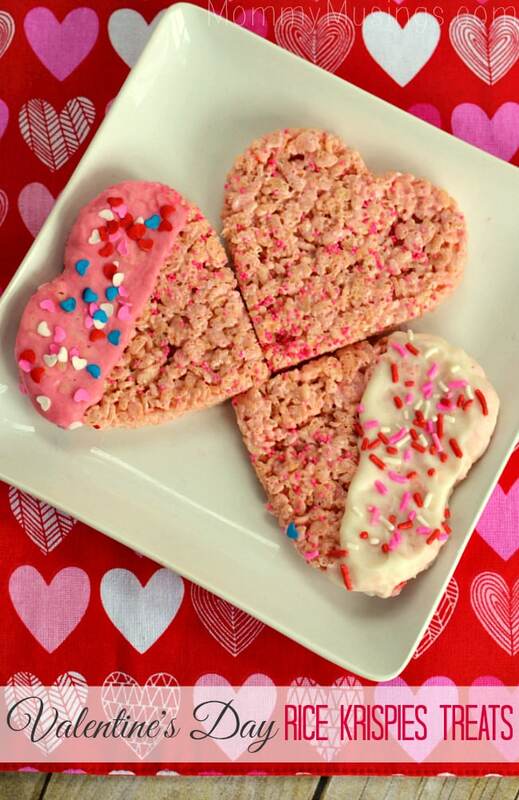 I’ve made Rice Krispies treats similar to these in the past and they’ve always impressed. The chocolate and sprinkles really make them look gourmet. I would place each of these treats into a clear cellophane bag (from the Dollar Store!) and tie with a little bow to give to my daughter’s classmates. Or, I could just hoard them all for myself. Red Velvet Cupcakes are perfect for V-Day. I love the addition of Cupid’s Arrow as an embellishment to these cupcakes. This recipe comes from Bakerella, so you know it has to be good! Cake Pops are still all the rage. These Valentine’s Day Cake Pops would be great for a class party when lots of different treats are being passed around. They almost look too cute to eat. Almost. If all else fails and I don’t get around to making something sweet, I know that Shari’s Berries has my back. If you’ve never had their chocolate covered strawberries, you’re missing out! These berries are some of the biggest I have ever seen. While the berries might be a bit pricey to pass out to my daughter’s class (though there are always coupons available! ), they make the perfect treat for a teacher. 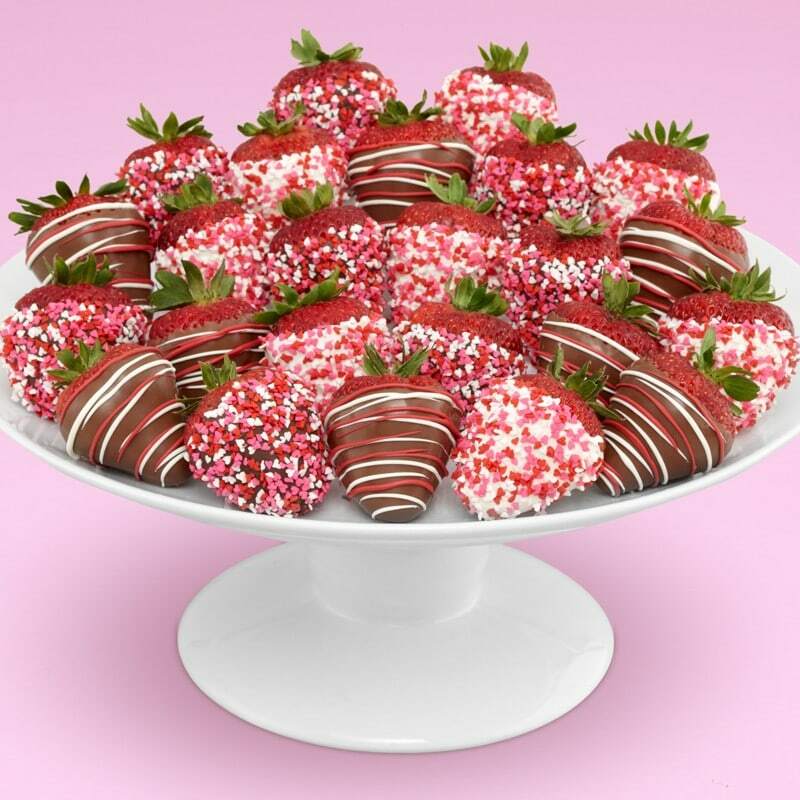 Shari’s Berries has a great selection for Valentine’s Day, be sure to check them out! Thank you! 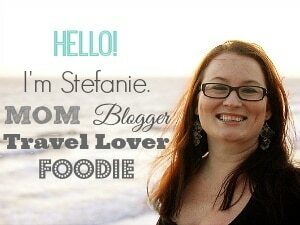 These look super yummy and fun!